Frank Buxton is an acclaimed screenwriter, actor, writer, and all-around entertainer. He has hosted two television series - Discovery (1962-1969) and Get the Message (1964) - and has appeared in many more, including being a frequent guest on "The Tonight Show" with Johnny Carson. As screenwriter, Buxton wrote episodes for The Odd Couple; Happy Days; The Bob Newhart Show; Love, American Style; and a variety of other television shows. Probably his best known script is 'Password', a 1972 episode of The Odd Couple. In 1997 TV Guide voted 'Password' as the fifth greatest TV episode of all time. In addition to his work on television, Buxton has co-authored two books. In the early 1960s, together with Bill Owen, Buxton wrote Radio’s Golden Age. The book is a chronicle of radio shows prior to the advent of rock&roll. The two authors collaborated again in 1972 on The Big Broadcast, an expanded version of their earlier book. 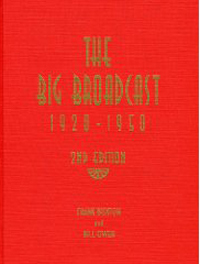 The Big Broadcast has become an authoritative reference guide to radio drama and comedy prior to WW II. 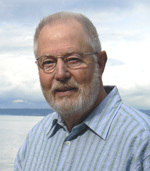 Frank Buxton is also co-founder of an improv workshop on Bainbridge Island which in 2000 became 'The Edge', a group which performs at numerous locations in the Pacific Northwest, including Bainbridge Island. Because of his many contributions to his community, Buxton was named an Island Treasure in 2009. For more information on this author check http://www.frankbuxton.com. For information on local performance dates of 'The Edge' go to The Edge at BPA.